There’s far more to Nevada than Las Vegas, especially in the northern portion of the state. It’s good to go beyond the buzz and bright lights of Sin City to really see Nevada, especially its history with the Old West, the regions of the Sierra Nevada, and alpine lakes with surrounding forests. Plus, there is still a bit of glitz to be found. Recently, I got to visit Reno and parts of Northern Nevada. Here is where I went and what I suggest. Dubbed as “The Biggest Little City in the World,” Reno gives off more of a local feel but still has its own glitz with casinos/hotels like Circus Circus and Eldorado (where I stayed). You can do a lot in one day, and that was that I did. 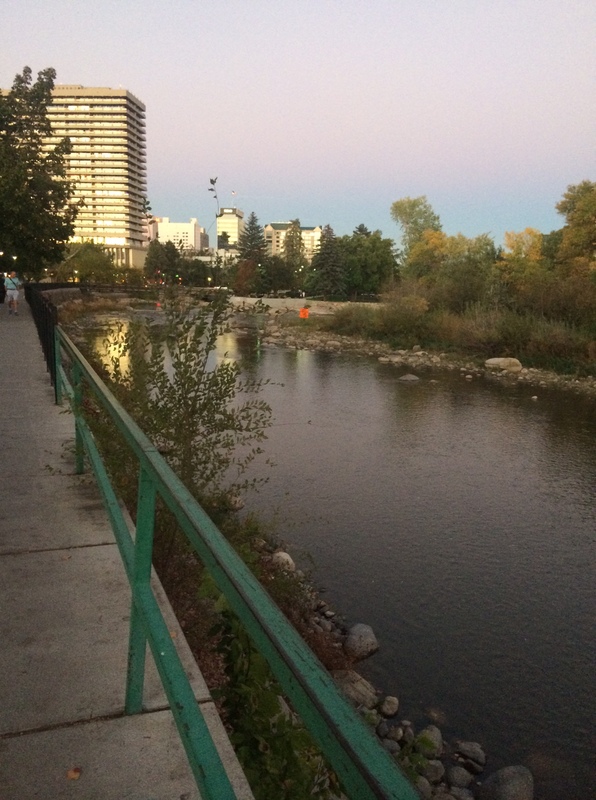 One area that is good to check out is The Riverwalk District, a river/public park in Reno’s downtown area that lines along near movie theaters, restaurants, bar galleries, and various shops plus the Truckee River. One section of it takes around the merchant area, while other is more tree-lined. Like Las Vegas, Reno has its own landmark sign, but is technically called the Reno Arch. It’s on Virginia Street, adjacent to Eldorado, which is fun to walk under it as well as wander down the street. Along your way, you’ll see older casino style buildings and a mix of stores. Some of these casinos are getting repurposed as apartment buildings or fittingly hotels. In getting a sense of Nevada’s history and culture, the best place to go is the Nevada Art Museum. 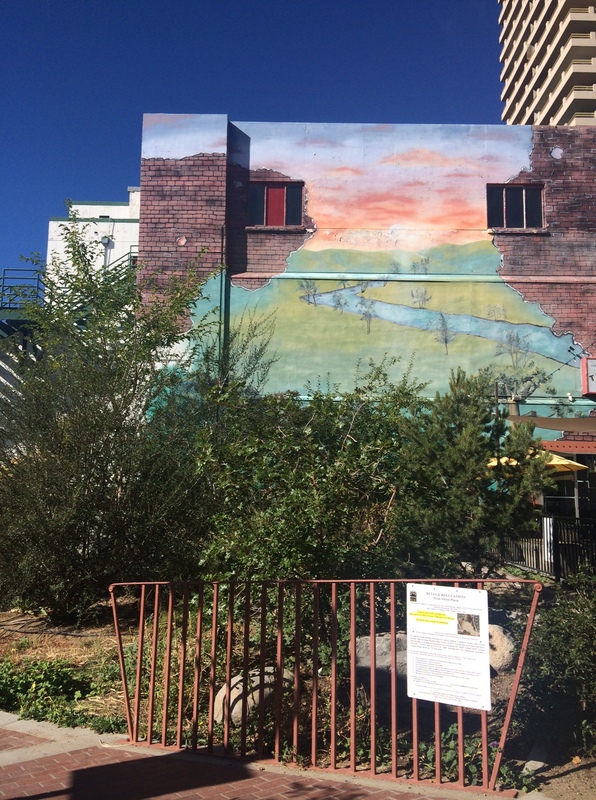 Also located in Reno’s downtown area, this visual arts museum presents exhibits relating to different subjects and artist’s themes. During my visit, there was an exhibit relating to neighboring Lake Tahoe and featuring various paintings and art projects on the lake’s past, present and future. If you’re hungry, the museum’s restaurant, Chez Louie, is touted as a French-style eatery. Unfortunately, I got there right after the lunch hour ended, but managed to get some good blueberry muffins paired with a hearty Malbec. With dining, I made a stop at Reno Provisions, a café/marketplace/bar. If you walk near the back of this place, you’ll find a butchery/grocery/kitchen demo section with fine and regional based goods like gourmet chocolates, specialty juices and soft drinks, and other edibles. Still I craved something, so at the counter I stared intently at the apple tart in the dessert case and decided to succumb to having one. 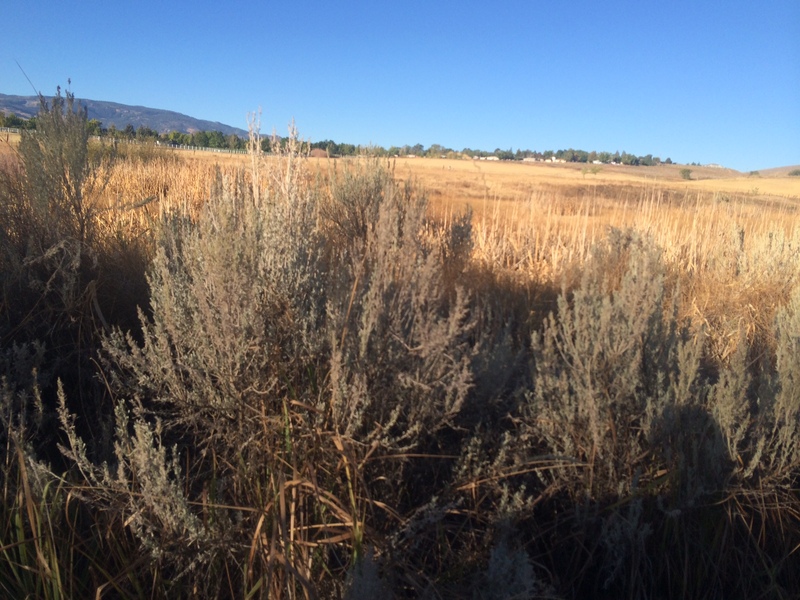 I also got to trek a bit outside of downtown Reno to head to Rancho San Rafael Regional Park. On a former ranch, this spacious public park has a lot of neat finds plus scenic loop trails graced with sage brush and landscape views – you can even see private homes in the distance. There’s also a center here named for Reno resident William May, an adventurous philanthropist. It has an arboretum and a museum. It’s a bit of a walk from downtown to get to the park, so I ended up getting a cab and also his cellphone number for the ride back. 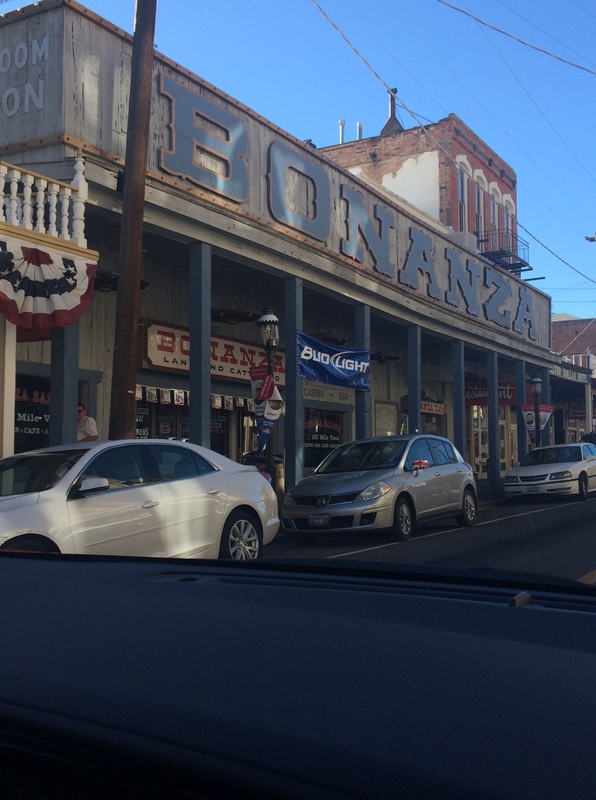 The next day, I ended up renting a car to head out of Reno and explore nearby Virginia City and Carson City, which the latter is actually Nevada’s capital. Founded a mining town, Virginia City was claimed as the richest city in America due to its silver in its heyday. Now it’s more about tourism and focus on the Old West with various museums and buildings depicted from the mid-1800s. Ironically, when I was passing through I had to reroute due to a race happening, so I ended up heading further west to Carson City. There I made a stop at the Nevada Railroad Museum (I like trains) to see displays of locomotives marking the state’s railroad heritage. Some of the trains you can step into and imagine what it would be like to ride in. In heading onward down US Highway 50, I made my way to the southern section of Lake Tahoe. It’s about 50 miles from Reno, and driving up I could see the sky blue water up ahead. En route of just following what I saw, I stopped at Logan Shoals Vista Point. There is a paved walkway that takes you to a lookout area, where if you are a good climber, you can head up the rocks for a different viewpoint. 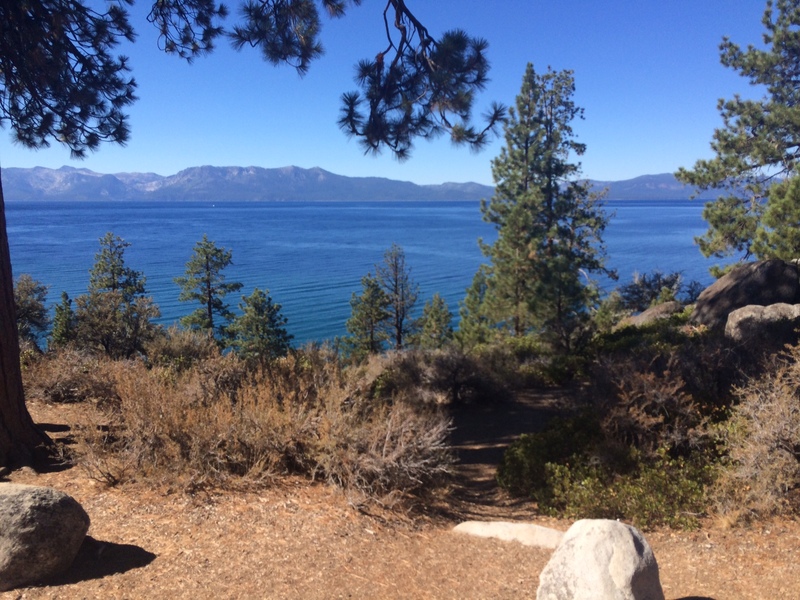 Back in the car, I kept going past the developed roads and lined sections of restaurants and hotels to turn into parking for South Lake Tahoe Beach. There is public parking adjacent from the beach, where you just cross the street and then you’re there. Bring some food with you to snack on at the various picnic tables and then head down the steps to hit the sand. Disclosure: I won a trip to Reno at a media night organized by Travel Nevada/Visit Reno Tahoe. This entry was posted in Nevada and tagged Carson City, Lake Tahoe, Northern Nevada, Reno, Virginia City on October 29, 2015 by She Is Going Places.